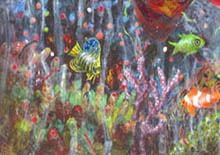 Port Douglas Artists' paintings included tropical fish art, oil painting landscapes, figurative paintings and collage ideas. 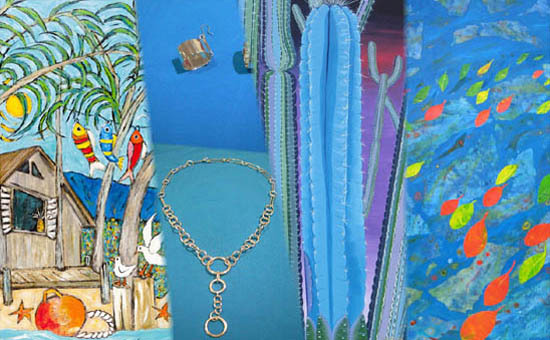 Port Douglas Artists included tropical fish art, figurative narratives and oil landscape paintings as well as silver jewellery and collage ideas in their artwork which was displayed at Shop 21, Meridien Marina, Port Douglas, Tropical North Queensland until March 2012. 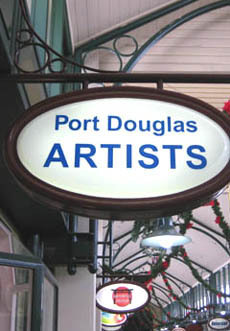 The Port Douglas Artists group was part of the Beautiful Art Spaces project, an initiative of Cairns Regional Council and the management of the Meridien Marina Group, Port Douglas. Unfortunately the project came to a sudden halt when the building was listed for demolition, to make way for resort development. 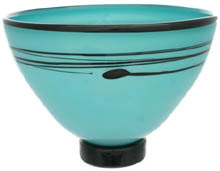 But the artists maintain a loose association from their separate studios and may be contacted via this website. 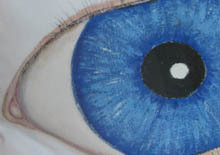 In July 2014,they were invited to mount displays of their artwork in the windows of vacant shops in the western wing of shops in the precinct. 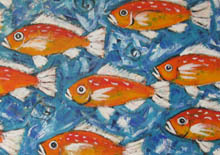 Artists included the four, below, as well as Yoshiko Kirby, Tania Heben and Anna Curtis. Named 'The Windows Project', the result was impressive - did you see for yourself when you were in 'town'? Did you drop in to meet the artists on a Wednesday afternoon 4 - 6pm and catch the Sunset Markets at the same time? 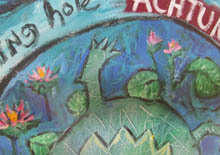 In April 2015 artists collaborated with musicians from UK, Stompin' on Spiders, to assemble visuals for their new CD release 'In Paradise', also using images from Mary Ann Runciman, Gail Shaw and Linda Jackson. Plans for a group exhibition in 2016, involving approximately twenty artists, working in various mediums, is well advanced. keep an eye on this page. 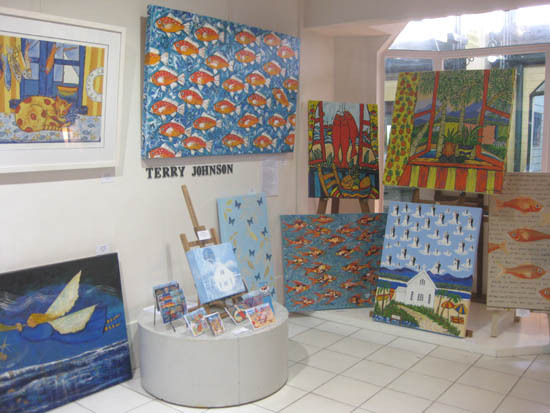 Terry Johnson , whose sense of fun, interest in tropical fish art and involvement with people, as well, of course, as his painting skills, lead him to develop happy, light-hearted paintings about the Port Douglas lifestyle. 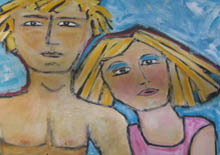 He also spends part of each year at Robe in South Australia, where he has a gallery of fine art - Wilsons on Robe. 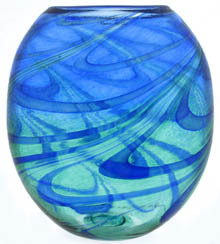 Marie Simberg-Hoglund , who collaborates with her husband, Ola Hoglund, in creating stunning kiln formed glass one-offs and gift items, was the newest addition to the Port Douglas Artists' studio/gallery. 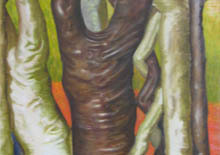 Marie exhibits world-wide and we were very fortunate to have her beautiful work on display. 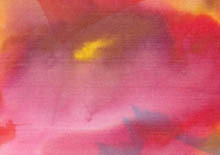 Jill Booth , whose interests are mostly Australian landscape, the vastness, colours and textures of which she responds to using a variety of techniques, from paint on canvas and paper to dyes on fabric. 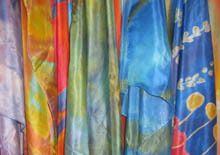 Recently she has developed a series of silk/cotton art lengths, which are very suitable for clothing in the tropical climate of North Queensland. Michael Edwards, who makes classical, elegant yet simple sterling silver jewellery, set with the semi-precious and precious gemstones that he digs from gemfields in outback Queensland. 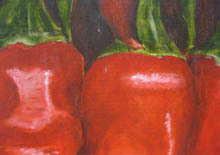 Michael is also a painter with an interest in portraying the luscious fruits of this tropical region through charming still lifes. 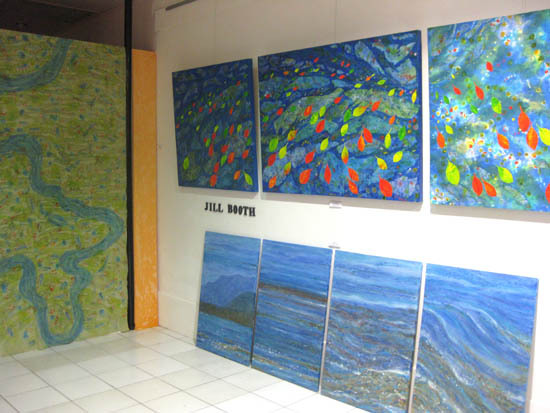 Port Douglas Artists could be found working in their studio/gallery 10am - 3pm every Tuesday, Wednesday, Thursday and Friday during the Wet season (November - May) and on most days 10am - 3pm during the busy Tourist season (June - October). 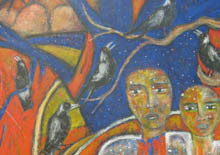 Details from paintings by Port Douglas Artists. 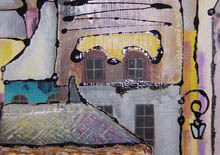 They also invited guest artists to work in the studio or in the mall close by, so there was usually an interesting activity for visitors to observe - or to take part in.